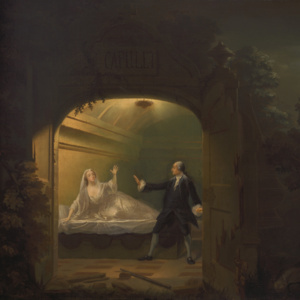 David Garrick's revision of the death scene in Romeo and Juliet. 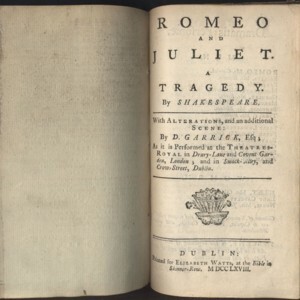 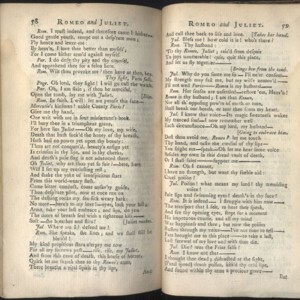 Veering from the original, Garrick's version has Juliet wake before Romeo's death, allowing the lovers a final farewell. 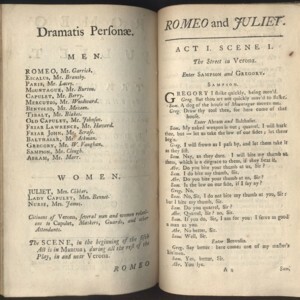 Title page of Romeo and Juliet by William Shakespeare, with alterations and an additional scene by David Garrick, as performed at the Theatres-Royal in London and Dublin. 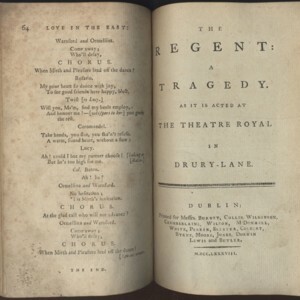 1768. 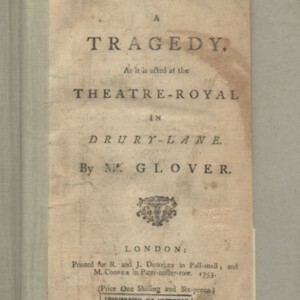 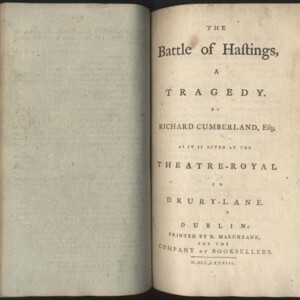 From volume one of a two-volume collection of plays.